• Shortly after Float Rooms USA incorporated in 2013, Ms. Koene met with the Illinois Metro East SBDC staff in East St. Louis for business plan assistance and location data. SBDC staff also connected Ms. Koene with America’s Central Port in Granite City (IL) and the Illinois Manufacturing Excellence Center, for detailed insight on how to seamlessly receive product into the United States. • Ms. Koene and her husband/business partner are considering sites in the St. Louis Metro East region for possible relocation of the company’s United Kingdom manufacturing/assembly plant. • SBDC staff provided a number of bank referrals, and Commerce Bank stepped forward with a line of credit to the Koenes, who have already installed 15 float rooms in eight cities across the country. • Float Center Shiloh is located in Green Mount Crossing at Interstate 64 East. A second location will open in Edwardsville, IL by first quarter 2016. • Float Rooms USA, LLC anticipates first year revenue of $350,000 in sales. 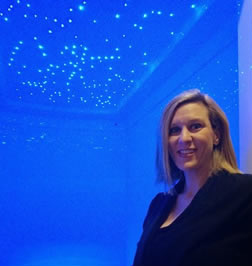 Read the whole story and learn more about the Illinois Metro East SBDC and Float Rooms USA.